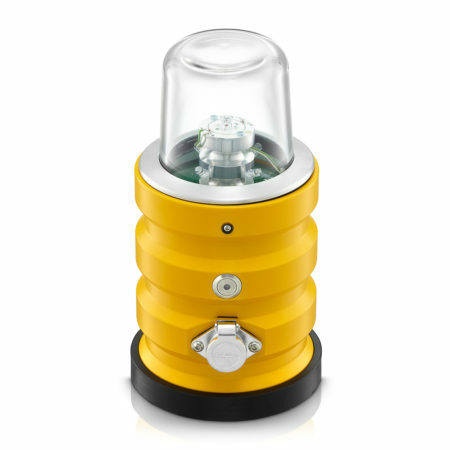 SP-102 portable obstruction light is red, omni-directional aviation light compliant with ICAO, Annex 14 for Type A, Low Intensity lighting. LED optics generates correct light output in terms of intensity and chromaticity. SP-102 airfield light is powered by a standard deep-cycle battery which can be stored locally. Operating time in steady mode Min intensity 50 hrs.